'The Kapil Sharma Show' has returned and returned with tremendous TRP. Many ups and downs have come in Kapil Sharma's life but in spite of all this, the public has not stopped loving Kapil. 'The Kapil Sharma Show' started again from December 29 and the TRP of the episode is already skyrocketing. 'The Kapil Sharma Show' has done the tremendous entry to the position of number 2 in the TRP race this time. The special thing is that this TRP has been done when Ranveer and all the guests came. 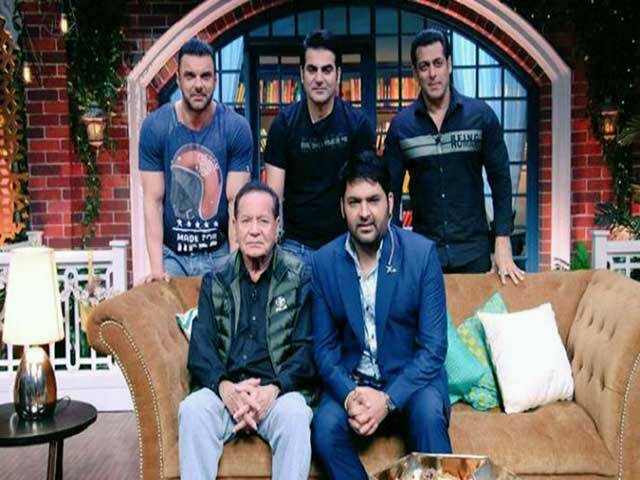 This week, Salman Khan Family came as a guest, we are absolutely sure that no one will be able to stop the TRP number of Kapil Sharma's show. Speaking of TRP, the city's public has kept 'Star Screen Award 2019' on Star Plus, number one on the number one this week. The second number is your Kapil. 'The Kapil Sharma Show', which has aired on Sony Entertainment TV, has got a tremendous surge in the TRP and it is at No. 2. Also Read: Indian Idol 10 2018 Grand Finale Winner Updates: Indian Idol 10 winner Salman Ali. The number three on Sony TV's show is 'Super Dancer Chapter 3'. There are 'Kundli Bhagya' on number four and 'Big Boss' at number five. The Big Boss was finale because of this show has come in Top 5. This year the show was missing from Top 5 in TRP. Next week, the Kapil Sharma will be seen as a guest on the show, Shatrughan Sinha and his wife Poonam Sinha will be coming to the guest.